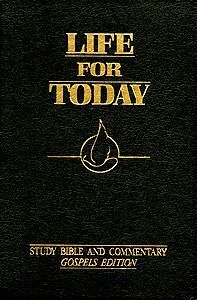 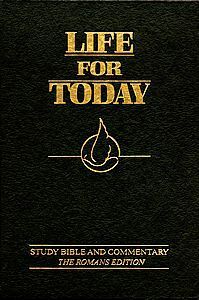 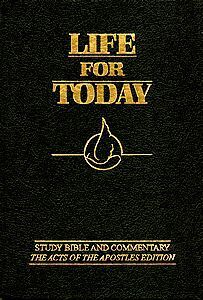 The Gospels Edition was the first of the Life for Today Study Bible and Commentary series. 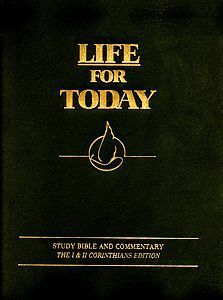 Its features include the side-by-side parallel presentation of the Gospels with the words of Jesus in red. 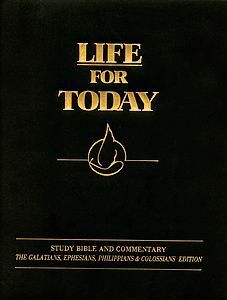 Like all the Life for Today commentaries, the Gospels Edition contains definitions of Greek words, related scripture references, dictionary definitions, translation clarification, and more.